Red is the hottest colour in the visual arts at the moment. The British play 'Red' about Mark Rothko's extraordinary series of red paintings for a hotel in New York is getting productions in Melbourne (now) and Sydney (in September). 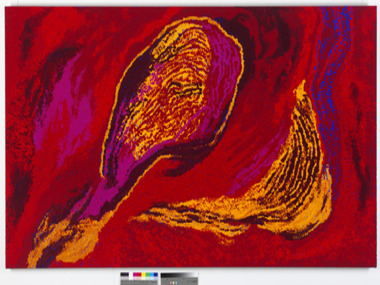 And the man who epitomises the use of red in his Western desert paintings – Yannima Tommy Watson – is to have the latest in the Art Series of hotels dedicated to him, opening in Adelaide late next year. As Watson's translator, dealer and honorary son, John Ioannou explains it, “From the head-band Tommy wears through the creation of all his paintings red is a recognition of the blood spilt and ceremonies he's undertaken, and the authority that comes from them”. 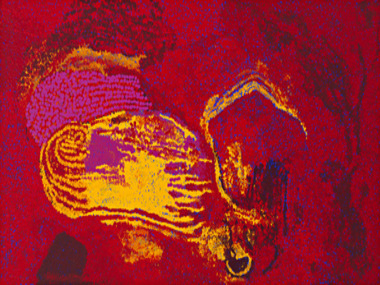 And then in the book that Marie Geissler and Ken McGregor compiled on the artist's life work, Geissler writes: “I'd say he's been going places no other indigenous artist has gone, and one can genuinely make comparisons with the profound inner sense of self that emerged in Abstract Expressionist work by Gorki and Rothko – influenced as it was by tribal art and primitive art from Eastern Europe”. It was McGregor, though who lead Watson to the Art Series Hotels – owned and run by Melbourne's Deague family. As Art Series chief executive Will Deague explained: "We always wanted to include an indigenous artist in the Art Series Hotel Group and are delighted to have such a pre-eminent indigenous artist in our fold to celebrate and educate our guests about this important aspect of artistic expression in Australia". The Series currently exists only in Melbourne – with the Blackman, the Olsen and the Cullen. The theory is that the hotels embody each artist's individual style and characteristics – which must make the (Adam) Cullen very edgy. Fine canvases by the eponymous artist are placed in the foyer, the boardroom and the penthouse suites; the other 50 five-star hotel rooms on the banks of the Torrens in Walkerville, Adelaide, will all have prints of Watson's work, The hotel will then offer for sale both prints and items like I-pad covers using Watson's imagery; and Ioannou calculates that this could benefit the artist's Trust fund by up to half a million dollars. The educational aspects of the hotel are covered by an in-house curator, an art channel on bedroom TVs, and an art library in every suite. In preparation for this, a documentary is currently being shot about Watson's life – from his birth around 1935 and nomadic childhood in the Pitjanjatjara lands to the mission at Ernabella, droving on Mt Ebenezer Station, building the fence on the walkway up Uluru and even time at Papunya where the Aboriginal desert painting movement started – though not for the Pitjanjatjara people, who believed until the start of the 21st Century that it was too early to share their cultural secrets. So Tommy only started painting at Irrunytju in 2001, but was the Western desert artist chosen to represent that school in the new Musee du Quai Branly in Paris. Watson and Ioannou also pioneered a successful legal action against a gallery in Alice Springs that exploited the artist's talents when he chose to leave his remote Irrunytju community.